Running Shoe: Brooks’ Pure Project. Flows for training and Connects for racing. Q: You’re a long-time runner. What first got you involved in the sport back in high school? Dirnbeck: Back in middle school I considered myself a pretty mediocre athlete. I was active and played a lot, but I was no jock. My grade school volleyball coach and longtime family-friend, Mrs. Mansfield is the one I owe credit for getting me into running when she suggested I try cross country freshman year of high school. I went out for a week of camp the summer before my freshman year and liked it, but was a little apprehensive about joining the team in the fall because it was a big commitment and I knew SLU High was going to be a lot of work academically. When I started getting communications from Coach (Jim Linhares) at the end of July and early August about the first days of practice, I assumed my attendance at camp automatically meant I was out for the team in the fall. Feeling stressed, but not wanting to give anyone at my new school the first impression that I was a quitter, I showed up for my first day of cross country practice on August 9, 2001. Q: What has kept you running all these years since then? 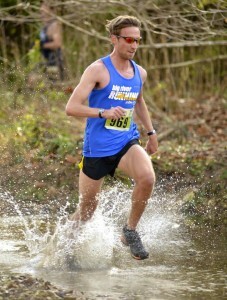 Dirnbeck: My four years running cross country at SLU High for Coach Linhares changed my life. During my time on SLUH XC I learned virtues like resilience, dedication, and the confidence that I can accomplish things I once thought impossible if I simply work hard at them. Running wasn’t just something I did, but it became a lifestyle for me in high school, and it still is now. It’s how I cope with stress, pain and hardship; and also where I go to make friends, socialize and just revel in the simple and primal feeling of being alive that only running can give you. Q: You’ve been one of the more prolific racers in the area over the last couple of years. What are some of your favorite races in the area that you always make sure to put on your calendar? Dirnbeck: Um, all of them? 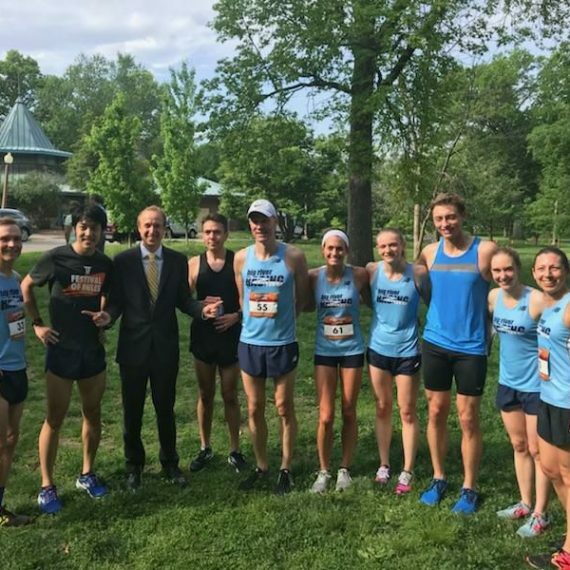 In college I loved traveling with my buddies to do big city marathons out of town, but the more connected I’ve become with the local running community, the more of a homebody I’ve become because at local races I get to race with my friends! 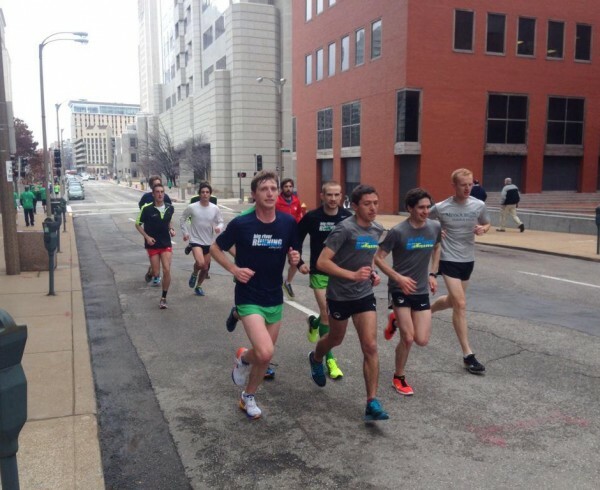 I’ll try to be concise: St. Patricks’ Day Parade Run – A favorite because it is truly the official unofficial St. Louis road racing championships…anybody who’s anybody on the local racing scene shows up to run, so the field is always stacked with good runners. 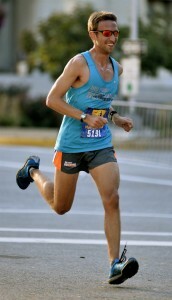 Ferguson Twilight 5k – Easily my favorite 5k in town. The race usually starts at like 6:00 in the evening, the whole neighborhood comes out to support, and the afterparty is a blast! There’s been a few years I’ve left Ferguson Brewing or Marley’s at like midnight! 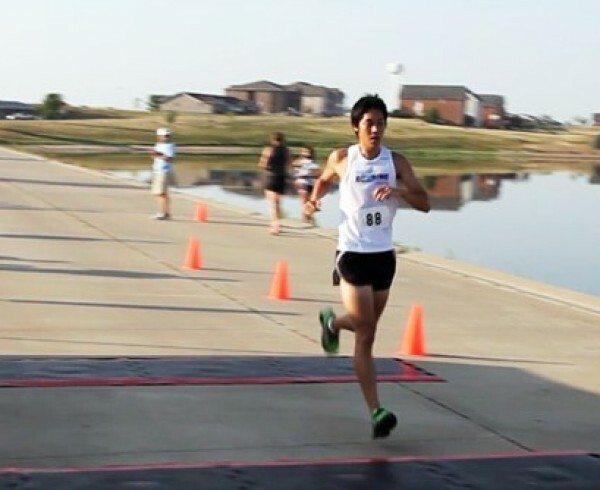 All American 5k – A close second for ‘favorite 5k’. It’s a fast downhill point-to-point course from Kirkwood to Webster, and apple pies are on the line for age group and overall winners, so it’s always a blast jogging back to the top of the course carrying a giant apple pie. Macklind Mile – Need I say more there? The fall time is stacked with a bunch of great half-marathons almost every weekend, but my favorite is the Go! Halloween Half. It’s so fun to see people all dressed up in costume and for some reason I’ve always ran really well at that race. Finally there’s both the Skippo and Castlewood Cup. 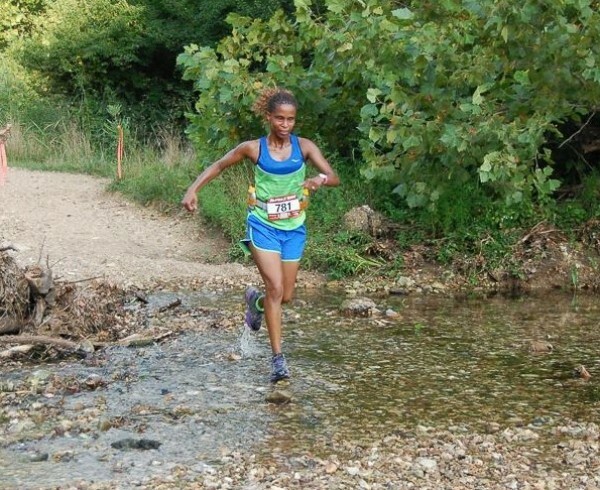 I love racing trails, Castlewood is such a beautiful venue for a trail race, the trails are always awesome (thanks, Skip!) and it’s always a blast to flop in the grass post-race and chow down on some bbq with friends! Q: What is a typical week of training for you? What type of workout do you like to run? Dirnbeck: My typical training week is EXTREMELY variable! 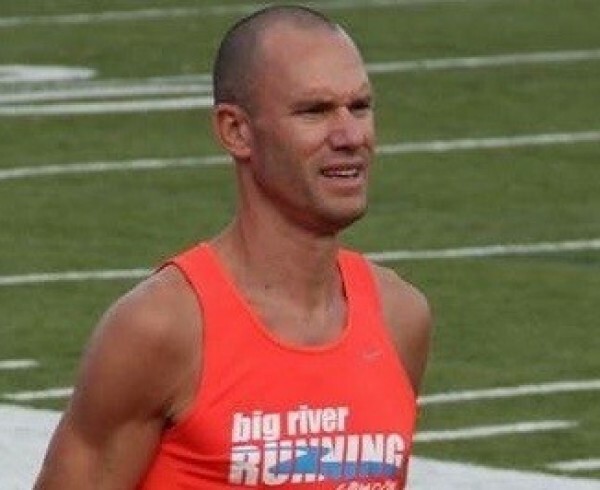 I teach high school and coach cross country and track, so there are weeks during the fall and spring where my only real miles for the week are my Sunday long runs. On the flip side, during the summer, between my own training, running with my students and meeting up for social runs and bike rides I’ll be able to put in 50+ miles running and 80+ miles on the bike. I run almost all my training run as progression runs. I think it’s important not to start too fast to allow your body to warm up and build into the run as well as to practice running the fastest at the end of the run when you’re most tired. I also like weird hybrid long runs, one such being couplets, which is doubling up a tempo run or a fartlek with a long run on consecutive days. They’re kind of obscure and old school, but they work well with my schedule since I have the most time to run on the weekends. They also build toughness and are perfect for practicing running on tired legs. I also like leaving from my house, running 8 or 10 miles, jumping in one of the short-distance Frostbite races over in Forest Park or an interval workout with a group of friends, and then taking the long way home. I’ll end up putting in 16 or 18 miles with some fast running somewhere in the middle and finish with some guilt-free Nutella waffles! Q: What do you think is your biggest key to successful running and racing? Dirnbeck: Having fun! I’m an extremely extroverted racer. 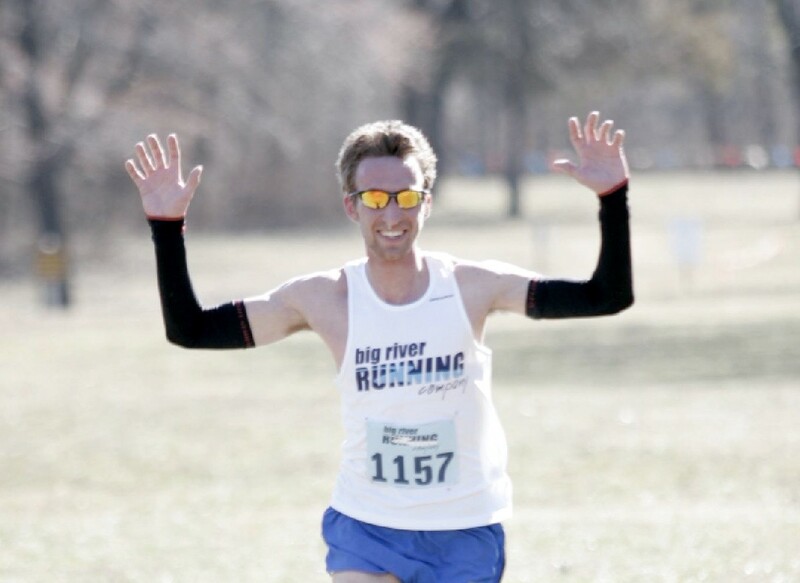 I love high-fiving spectators, waving at friends and rocking out to live bands and dj’s during races! It brings me SO much energy! Q: You raced both MO Cowbell and the GO! Halloween half marathons in back-to-back weeks, finishing in the top three at both. Take us through those races and how they went for you. Dirnbeck: I finished in the top three at Cowbell, but I had a crazy exhausting past week or two at work and I was out at my cousin’s wedding reception dancing with a bunch of family and friends until like 11:00 the night before! I held up alright for the first half of the race, but started bleeding time about mile 7. The hill at mile 10 destroyed me. Usually I’m able to rally and get time back on the long downhills into the finish, but the legs just never regained their normal pop. It was still a good race since I was only a minute or two back from where I would have liked to finish, but it was a long ride on the pain train! For Halloween I had the privilege of catching up on some rest in the intervening week and it definitely showed in my racing! I was fortunate to fall in with the women’s 10k leader around the mile mark and we just rolled together until she split at mile 6. The body felt solid through the next couple of miles heading south into Soulard even though I was totally in no-man’s-land and there was almost no crowd support save for the aid stations, and I was able to rally and make my last 2 or 3 mile the fastest of the day! It was a little bittersweet to finish in 75:08 because I was really hoping to crack 75:00, but considering it was a hilly course, I had to run a lot of it alone and I haven’t been able to put nearly the time I’d like into my own training since my high schoolers started their season in August, I’m really proud of that race! Q: What types of benefits do you get from being able to train and race with the Big River Racing team? Dirnbeck: I loved being part of a team in school, so I really love having a group of people to train with! The Racing Team is loaded with fast guys. 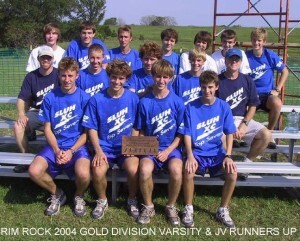 Back when I was a teenager I got good at running by simply trying to run with guys who I knew were faster than me, even if I couldn’t always keep up. I like running with people who can constantly push me and challenge me! Q: What are you future racing plans? Dirnbeck: Just to keep getting into as many local races as I can with my crazy coaching schedule. 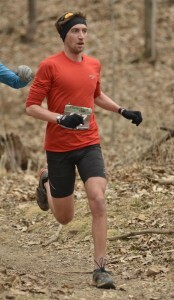 Now that the cross country season is finished, I’m most excited about getting back into a regular training routine. I haven’t really done any designated hard workouts in a LONG time, so now that my students’ season is complete I’m looking forward to having some more time and energy to put into my own running over the winter. Q: Do you have a favorite famous running athlete? Why do you like him or her? Dirnbeck: Yes! Emil Zatopek! I first read about him in Born to Run by Chris McDougal. I was reading that book the summer I after I graduated college and I was in a weird transition phase of my life. McDougal described Zatopek as someone who loved the simple and pure act of just running. He is famously quoted saying “A runner must run with dreams in his heart.” My first year out of college was a test of my own faith and tenacity, but I feel like I was able to channel a bit of Zatopek’s spirit to derive a fundamental joy in something as basic as an 8-mile training run around Forest Park, and that helped me get through that year without losing my mind.